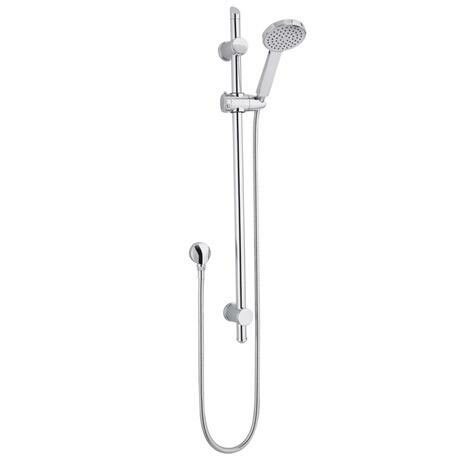 A modern chrome finish slide rail kit with a water saving shower kit from Premier, using air-induction technology (the mixing of air and water to create larger water droplets). With it's clean lines the Premier slide rail kit will naturally blend in to and compliment any modern bathroom. The sleek and stylish design is perfect for creating a centre piece of your shower and will complement any contemporary bathroom. Product Type - Water saving shower kit - air induction handset for up to 25% water saving.